Bike and hike in the forested hills of Kalaw, enjoying the cool mountain air. Visit remote villages of the Danu, Palaung, and Pa O tribes . 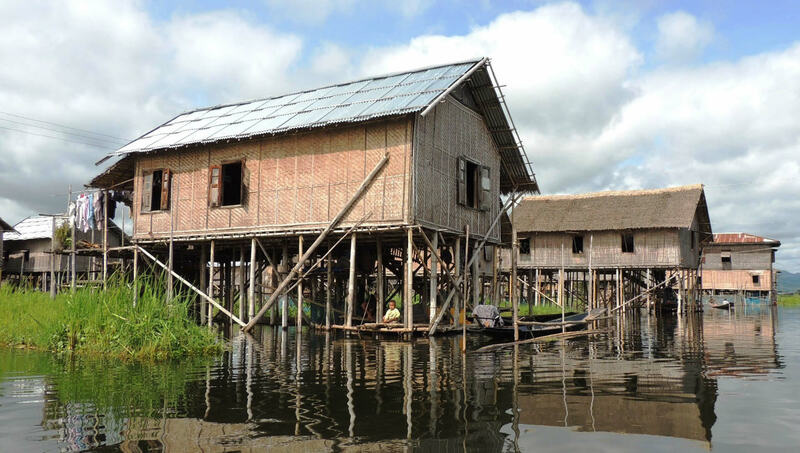 Discover the serene beauty of Inle Lake and the daily life of . 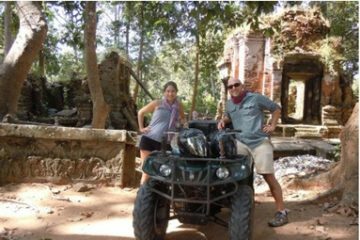 Enjoy a multi-sport adventure biking and hiking in Kalaw and Inle Lake. 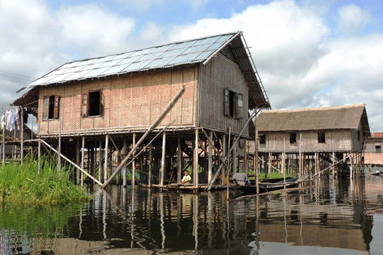 Venture into Danu villages for a glimpse into their daily life, and explore the lively Intha villages lining Inle Lake. 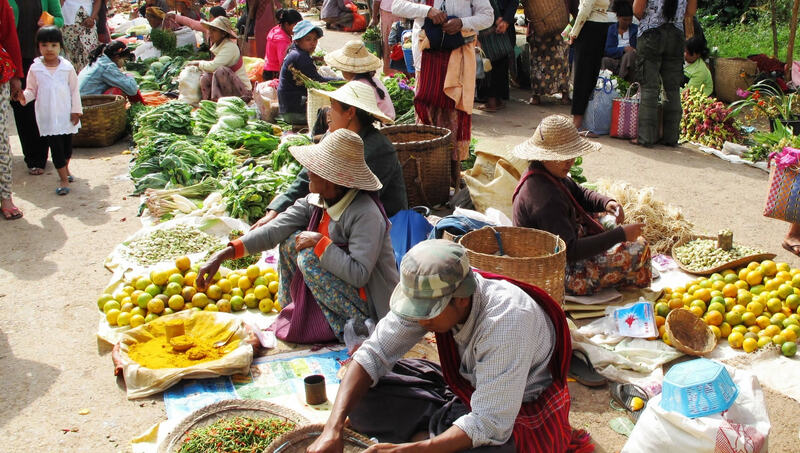 Travel by car to our starting point,Myin Ka Village, for the half day excursion to Palaung villages. Start cycling for about 45 minutes to Pain Ne’ Pin Village. The plateau near Kalaw is home to the Palaung and Pa O tribes, including this village. 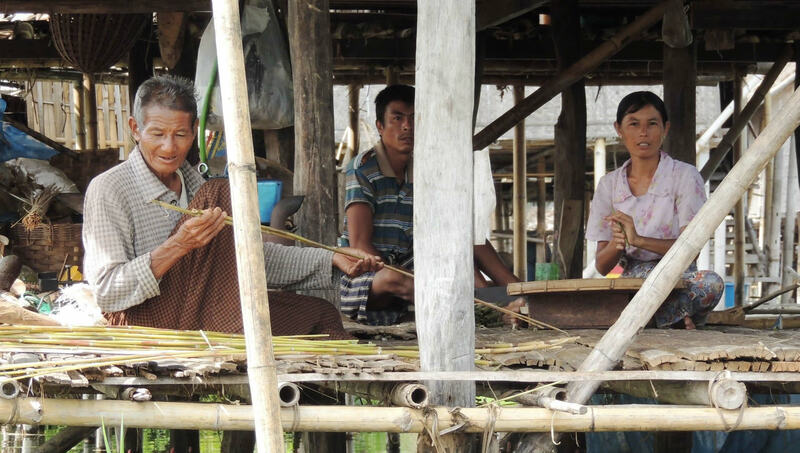 One of the main sources of income for the village is the cultivation of cheroot leaves. 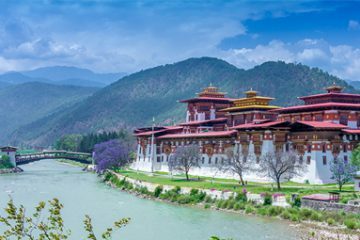 Take short visit there then continue cycling deep into the Palaung territory in the Shan mountains. Cycle from Pain Ne’ Pin to Taung Ni Village with excellent great panoramic views. (approx. 80 min). Visit the Taung Ni Village and then continue the descent to Tharal (in Burmese called “Tha Ye”) Cave for about one hour along a great countryside road. Explore Tharal Cave and enjoy lunch at a local village. After lunch, continue by bike to the main road leading to Aung Ban. (approx. 30 min) Load the bicycles up and drive back to Kalaw via Aung Ban. (ca. 14 km). Travel by car from Kalaw to Inle. Today you’ll take a boat ride on Inle Lake and discover its calm serenity, still waters and colourful brush strokes of floating vegetation and slow moving fishing canoes. Rolling hills hug the lake on all sides, and the lake’s shore and islands host 17 villages on stilts, mostly inhabited by the Intha people. Enjoy the awe-inspiring scenery and marvel at the amazing skill of local fishermen and their one-legged rowing technique. Visit the enchanting floating gardens, a vibrant market and an Intha. The day also includes a visit to the Phaung Daw Oo Pagoda, Inn Paw Khon Village (Lotus and silk weaving villages) and the Nga Phe Kyaung Monastery. Transfer by boat from your hotel to Alae Myaung village (Thale Oo) that boat trip will bring you to the village of Thalee Oo, which similar to others, has a water-based area, as well as a part as well as a land- based section. Disembark at a jetty and take a stroll along a flat and shady bullock cart road through the heart of the village. Thalee Oo is an Intha village whose population lives mainly off the land, growing peanuts, tomatoes, garlic, sugarcane, rice and vegetables. Enjoy stunning views of the lake and the Shan Hills, and stroll alongside the traditional bamboo houses, chatting with friendly locals and observing their daily life. After about 45 minutes walking through Thalee Oo, see the process of separating grain, husk, and bran. Then trek uphill for 30 minutes through a local monastery, reaching the small Pa O village of Ywa Thit. The Pa O ladies still wear traditional black tops and brightly colour as turbans. After admiring the stunning view of Inle lake and the Shan Hills from a scenic view point, descend for 30 minutes before continuing along a flat path through the village of Alae Myaung, heading back to the boat and transfer to a local restaurant for lunch. Afterwards, continue to Indein. Indein is famous for its ancient pagoda complex dating back to the 12th century. Some of the pagodas been restored but there are still original pagodas in ruins, covered by bushes. Explore the complex, including Nyaung Oak with its carvings of mythical creatures, and Shwe Inn Dein pagoda with its thousands of Shan-style pagodas. After exploring the Indein complex, transfer back to your hotel in Inle Lake or Nyaung Shwe jetty. Take a cycling excursion to Kyae Sar Gone Village, stopping by local Inthar villages and sights en route. Begin cycling, stopping after a short while to visit the Taung Chay Taw Ya Monastery, which offers excellent views of the surrounding area (appr. 30 min.). Continue north through bamboo forests. After an hour riding, stop at Than Taung village to explore the lifestyle of the Intha. Depending on the day, experience a Than Taung village market visit (5 day rotational market) to observe the produce and trading. Proceed next to Nwar Dhama village (approx. 30 min). Enjoy cycling past dense bamboo forests along the embankment. Stop at an Intha house in Nwar Dhama Village, where you will conclude your cycling. Enjoy a traditional Intha lunch here, then take a relaxing stroll through the village While exploring take the opportunity to watch in detail how cheroots are made. After lunch, relax and walk around to explore some more village activities set in a wonderful mixture of all sorts of verdant countryside, the water of the lake itself, and the somewhat darker shades of the bamboo forests in the distance. There is also the possibility to explore Kyae Sar Gone village (floating garden) by canoe including a visit to a typical stilt house. Proceed by boat to Inle Lake.